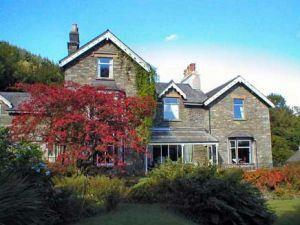 Comfortable, well furnished apartments all self-contained within Victorian country house. Sit in peaceful secluded location with good views. Large natural gardens and ancient woodland, with streams and abundant wildlife. Games room. A 9-hole golf course is 2.5 miles away. Fishing, pony-trekking nearby. The coast is only 7 miles away, plenty of walks from the house. Coniston and Windermere 20 minutes from Dower House. Children welcome from any age. Dower House offers weekly bookings starting on Saturday. One bedroom, bathroom with shower over bath. Integral lounge, kitchen and dining area. Linen included. Hot water included. Towel, cot and high chair hire. Electricity by meter reading, central heating extra. Three or 4 day breaks available all year. Changeover Fri or Sat. Orchard Corner offers weekly bookings starting on Saturday. Two bedrooms, 1 double and 1 single. Large lounge, kitchen. Bathroom with bath and shower over, plus separate toilet and handbasin. Woodside offers weekly bookings starting on Saturday. Leave the M6 jct 36 to The Lakes. Follow A590 towards Barrow. Continue to Newby Bridge and then Greenodd and turn right on to A5092. Follow signs for Workington. Two miles past Foxfield Station you reach traffic lights at Duddon Bridge. Go through lights over bridge, then take first right signed Corney then first left.